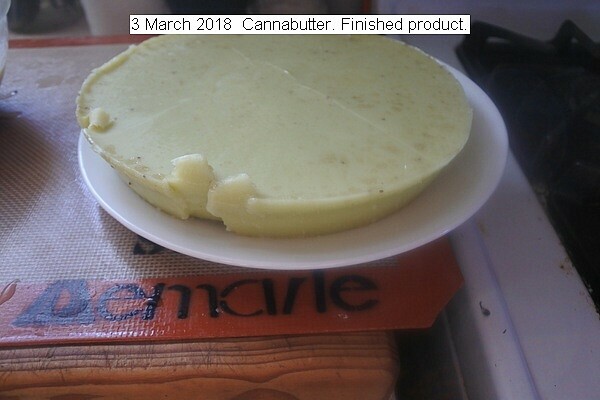 Cannabutter is made using the decarboxylated material. Two ounces were mixed with two pounds of butter and 500 ml of water and simmered in a double boiler for three hours. The finished material is used as is or used for cooking as desired.